If you would like to share a story about this ancestor, please type as little or as much as you like in this box. : This photo was taken of my paternal grandparents, Beatrice Parker & Eddie Walton Batchelor on the day they arrived in Detroit as part of the Great Migration of Blacks from the South. My grandparents were married on 5 Dec 1914. 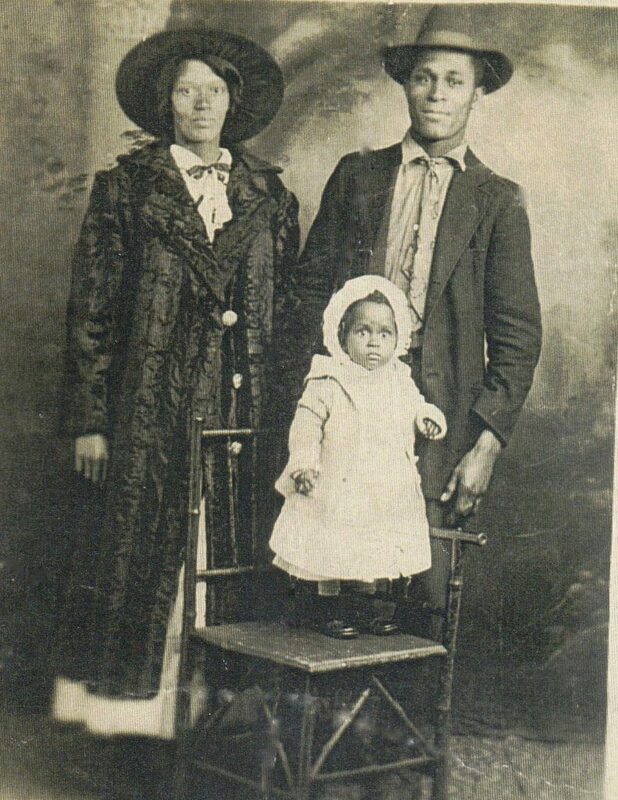 Grandma was the granddaughter of a slave and a Confederate soldier who had 16 children together. Grandma’s father was the youngest child. In this photo, she was only 19, but lived to be a venerable 97 yrs old. Sharp until the end, Grandma shared stories of a hard life, complicated family history and even lynchings she saw. This background and the promise of a job in Detroit’s auto factories motivated my grandparents to leave Harris County, GA and head North. She personally told me the story behind this image, taken by an unknown photographer at the station in Detroit when they got off the train from Georgia and faced a new life. Beautiful, some much to think about once I got the background story. The smile of your grandfather, the hint of a smile on your grandmother’s face. And your aunt’s eyes say it all. Some many African-Americans moved up North during the great migration, some with success stories and others not so much. How do you view your families story?